Then Search (top right spy glass) for Cheese Blend to see what recipes are there using it. But here are a couple quick basic's that I have printed and taped to my can in the pantry. In a bowl combine shredded cheddar and chicken broth. Melt butter in a saucepan over medium heat. Whisk in flour and cook about one minute, until foamy. Slowly whisk in milk then broth/cheese mixture. 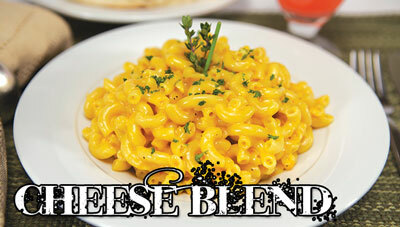 Add cheese blend and continue to whisk until thickened and cheese melts, about 3-5 minutes. Adjust seasonings to taste. Serve over 6 ounces of cooked Elbow Macaroni. Serve over nachos or with tortilla chips as a dip. or Philly Cheese Steak Sandwiches. to directions. Drain noodles then return to saucepan. Add above ingredients and stir until combined. Serve.